Welcome to the world of the legendary Beretta M9, the world’s most dependable autopistol. For over a quarter century, it has met and surpassed the nearly-impossible criteria set by the US military, creating a new standard against which all other semiautomatic pistols are measured. Because of its durability and reliability, it has remained the companion of the US military in theaters as diverse as the mountains of Afghanistan, the jungles of Latin America and the sands of the Iraqi deserts; regardless of the environment or the scenario, the M9 proves itself over and over again as the most tried and true professional sidearm. Numbers don’t lie, especially when they are tied to the requirements of military and law-enforcement. Simply put, the Beretta M9 has officially served in more conflicts than any pistol on the market, in the hands of US military personnel as well as those of NATO allies—not counting tens of thousands police operations around the world. Since its introduction, military and police agencies of 25 nations (not including the US) have purchased over one million M9 pistols or their variants, and contracts keep being renewed thanks to its high quality, great reliability and simplicity of use. The US military’s initial 1980’s contracts of 372,930 M9 pistols have also been renewed—most tellingly after the momentous conflicts that marked the last decade of the 20th century and the first of the 21st. In September 2012, the US Army awarded Beretta a contract for up to 100,000 units with confirmed delivery orders of over 20,000 units to-date. This is what we mean by “tried and true” at Beretta. The M9 became the standard against which all autopistols are measured—for two important reasons. First, because it met and surpassed all the ultra-rigorous testing requirements set by the US Army. The standards demanded a pistol with a long service life, that would not malfunction even after being buried in snow, mud and sand, after being dropped from buildings and after being exposed to temperatures from sub-freezing to 140 degrees Fahrenheit. Secondly, because Beretta has itself adopted similar standards for its 92-series autopistols. Each pistol undergoes stringent dimensional and performance tests right here at the Beretta USA factory. These include grouping accuracy at 54 yards, durability and reliability tests, as well as tests for reliable feeding with different types of ammunition. We have test-fired approximately 10 million rounds through our M9 pistols, averaging only one malfunction every 21,500 rounds. These are the standards that keep the M9 at the side of the professionals who rely on their pistol in life-or-death situations. 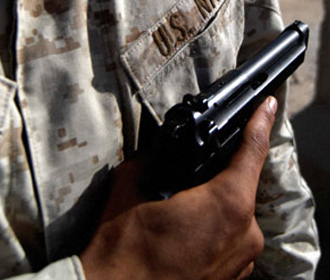 The Beretta M9 has been to more conflicts than any other modern pistol in the free world. 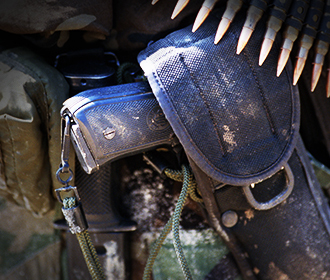 Soon after being adopted as the official sidearm of the US military, it was deployed in Panama in 1989. This operation further tested the M9’s ability to function reliably in the sweltering conditions of jungle warfare—which it did, quickly winning the approbation of the men and women carrying it. Next, it was deployed in the first Gulf War to the dry desert sands of Iraq, as well as in the urban and rural landscapes of former Yugoslavia. In the new century, the M9 accompanied US forces and its allies to Afghanistan, yet another extreme environment that ranges from sub-freezing mountain heights to scorching-hot low-lying areas. And a second war in Iraq has confirmed its reputation for quality, accuracy and reliability in the stressful conditions of desert and urban warfare. 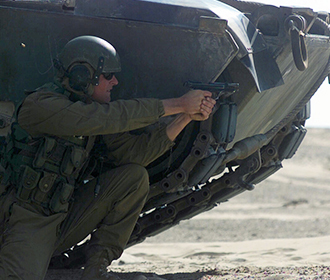 No matter the challenge, the Beretta M9 is always up to the task and remains proud of being relied upon by the men and women of the US military. Towards the end of the 1970’s, the US House Appropriations Committee and the Department of Defense agreed to find a new standard pistol for the US military. At the time, most branches of service used another iconic pistol, the M1911 chambered for .45 ACP. However, the stockpiles of 1911 pistols were getting old and needed replacement, and the government agreed that a new 9mm service handgun would be a better choice because of consistency with NATO standards. In the following years, Beretta entered the trials alongside H&K, Colt, FN, Smith & Wesson, Steyr, SIG Sauer and Walther. As the proponent for small arms acquisition in the US military, the US Army specified the testing standards. These included requirements for accuracy, durability, reliability, exposure to extreme environments as well as firing-pin energy. After these extremely challenging tests, the Beretta 92 (soon to be M9) emerged as one of only two competitors that could keep firing the thousands of accurate rounds demanded by the US Army. 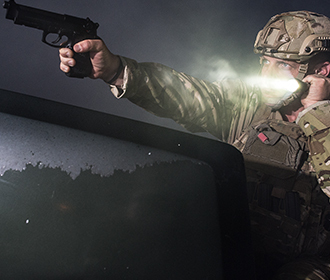 A few more Army inquiries into quality-control and value for the money resulted in the Beretta pistol being awarded the most prestigious contract that a firearms manufacturer can aspire to: being carried by the world’s best military.